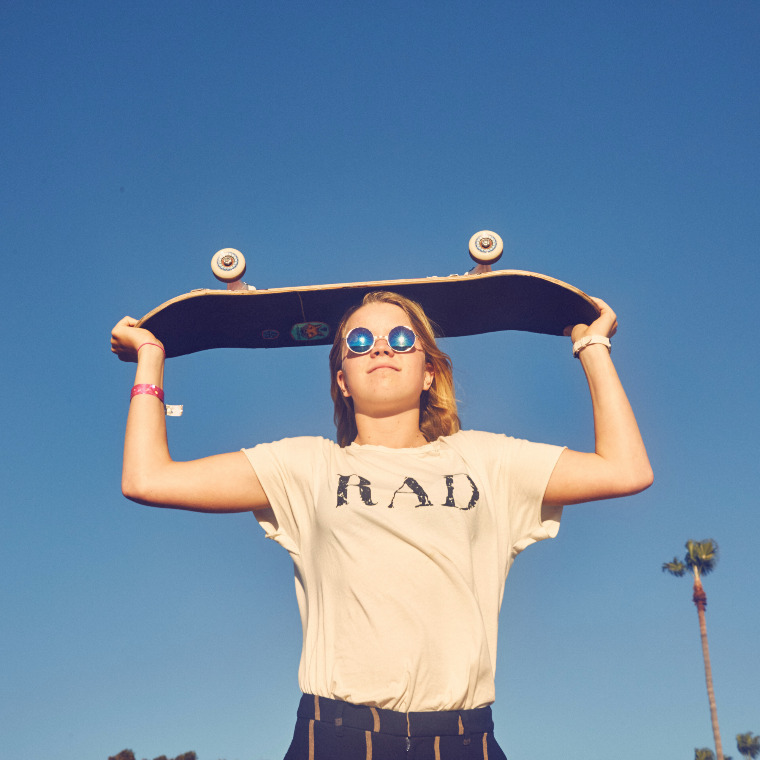 At the shy age of 16, Poppy Starr has joined the elite group of pro skaters around the world that are competing on a world stage. This year alone Poppy has taken out a world cup event, her first time ever skating PRO at the Combi Classic in California. She has competed at the Summer X Games, the only Australian female athlete to ever do so and now has her sights set on the 2020 Olympics after it was recently announced that Skateboarding will be added to the program. Poppy is younger than most all her competitors competing the open division and continues to out-rank many of her peers both male and female who are almost a decade older than her. Already a passionate pioneer for women skaters in Australia and voted as one of the Top 12 Most Influential Girl Skaters in the World of 2012 at the age of 13, Poppy is quickly becoming one of Australia’s greatest exports. Poppy’s talents extend into the art community as a jewellery designer and card designer and it was the sales of her art that helped fund the early stages of her competition career at the legendary Bondi Skate Park. She now has an established business with her art being sold online and in several stores across the country. Poppy is in high demand as one of the most booked young speakers in Australia and most noted for her TED talk at the age of 14. She inspires young people to find their passion and gives great tips on being a young entrepreneur finding ways to fund her passion.